OnePlus co-founders Pete Lau (L) and Carl Pei (R). Photo taken with a OnePlus 5T using portrait mode. OnePlus wants to be known not just for releasing high-powered devices at reasonable prices, but also for its personality. It’s trying to be quirky yet establish that it’s serious, and what was most on display at the recent OnePlus 5T launch was that this company is willing to reverse course. During the keynote, OnePlus co-founder Carl Pei and his co-presenters spent a lot of time recapping the company’s history, which doesn’t even span four years. Pei didn’t shy away from acknowledging the relative failures of the OnePlus 2 (Review) and OnePlus X (Review), promising to do better in the future. It was a performance not only for the press covering a product launch, but also for the fans, analysts, and investors watching who need to be convinced that OnePluswants to earn its customers’ loyalty. Gadgets 360 spoke to OnePlus co-founders Carl Pei and Pete Lau shortly after the OnePlus 5T (Review) launch event in New York City. Lau spoke in Chinese, and Pei provided translations. We were curious not only about the new device, but also about the company’s overall direction and plans for the future. If there was ever a time to do it, it would be now, we suggest. 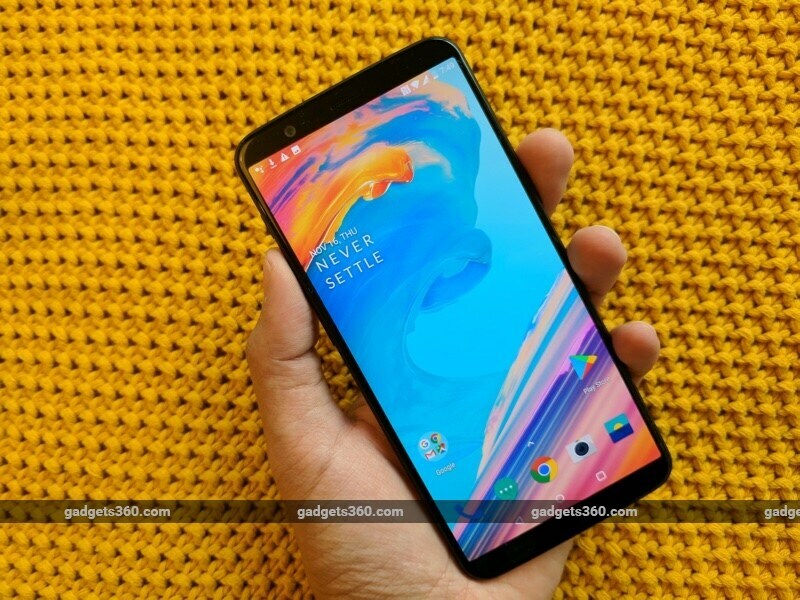 The OnePlus 5T is not only expensive relative to older OnePlus products, but also has the largest screen of any model so far. The market could have room for a smaller phone that’s still a flagship. The main issue, then, is whether OnePlus only wants to have one model available at a time, or whether it’s willing to support a larger lineup. “We can’t promise that. We don’t know what’s going to happen in the future,” came the answer, which does seem to leave that door open just a crack. So, does the OnePlus 5T now exist solely because competitors have already moved to 18:9 screens, and the OnePlus 5 could look outdated next to them? “That was our own decision,” Pei says, after conferring with Lau. “We see the 18:9 display to be a trend in the industry, and if we want to make flagships, we have to have the latest technology. It’s not a response to what other people are doing, this is just our philosophy.” That answer feels like a bit of contradiction, as the co-founders admit that the company is following a ‘trend’, but still insist that it isn’t a response to what others are doing. We asked if the company would roll out any exchange or loyalty offers for those who want to upgrade to a OnePlus 5T. “We tried this for a couple of products before [in India] but the response wasn’t very big, so the need for this isn’t very large.” We were surprised by this answer and probed further. “If you sell it privately, you can get a much better deal than by trading in; that’s almost always the case no matter which country you’re in.” There is logic to that, but we could still see fans appreciating some kind of gesture. It was then time to bring up a burning question. The similarity between OnePlus’s phones and some of sister company Oppo’s models has become quite obvious of late. Is this something that the company is moving to embrace publicly, or do they not want to acknowledge it at all? Lau and Pei were quick to shoot that idea down. “It’s not a direction, it’s a misunderstanding,” they stated. “If you look at the devices, there’s a couple of things that we have stuck to when it comes to our design philosophy. One is the curvature at the back of the phone, and we’ve had the same or similar curvature ever since the OnePlus One. A lot of people only look at pictures and they are not involved in the product development process; they might not know how it actually works.” So how will this relationship work going forward? “We can only pay attention to what we are building; we cannot influence what other companies are building,” they said. Later, following the launch event and interview, OnePlus’ global PR team assured us in no uncertain terms that while Oppo and OnePlus share investors, and OnePlus pays Oppo for manufacturing services, they do not collaborate on designs and there is no sharing of plans whatsoever. They steadfastly refused to comment on whether that meant there was any design plagiarism in either direction. Speaking of manufacturing, we then raised the matter of production problems with the OnePlus 5 such as the infamous “jelly scrolling” effect. What has the company done to improve quality control and give potential buyers confidence, over the past few months? The answer was somewhat measured. “Compared to the OnePlus 5 there are a lot of small improvements. If people pay attention, they will see them. The screen issue is not there,” said Pei; an interesting choice of words given that he classified jelly scrolling as ‘not a problem’ in a previous interview with Gadgets 360. Stay tuned for part two of our interview with OnePlus co-founders Pete Lau and Carl Pei, in which they discuss the OnePlus 5T’s cameras, plus the future of their company and of the smartphone industry as a whole. Disclosure: OnePlus sponsored the correspondent’s flights and hotel for the OnePlus 5T launch event in Brooklyn, New York City.